Never fear, however. For just because you aren’t feeling totally fresh, doesn’t mean a hangover day in Prague will be a complete write-off… far from it! 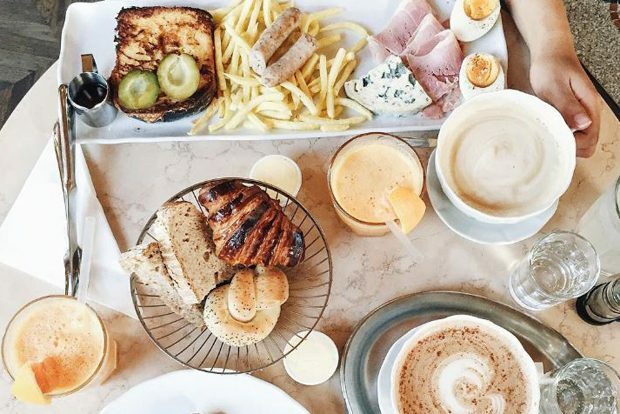 If you are going to brave a hangover day in Prague, the best way to kick-start your morning is to soak up all that alcohol with a hearty breakfast. 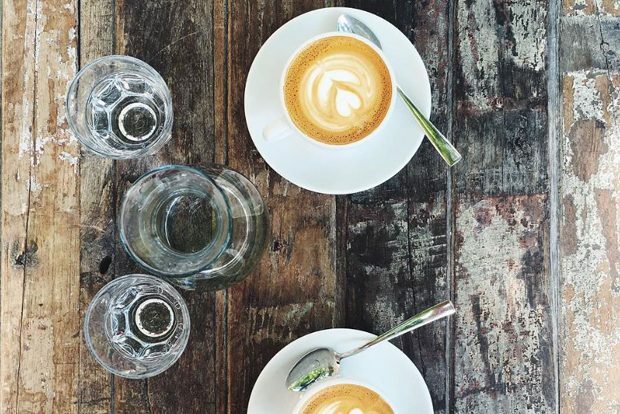 Throw on some shades (to hide those bleary eyes) and head to Café Savoy. This is a restaurant that has become somewhat of an institution in Prague, iconic for its rich mix of delicious food on offer, not to mention its remarkable interiors. As you await your breakfast order (why not try their dish of Savoy breakfast toast, Prague ham, Emmental cheese, eggs, homemade bread, farm butter, homemade jam, walnut cake and chocolate Savoy?) distract yourself from your hangover by gazing up at the café’s lavish Neo-Renaissance ceiling draped with chandeliers. Just be careful to lean back so far you end up snoozing behind those sunglasses. You’d hate for this delicious food to get cold! Direct sunlight can often be the hungover soul’s greatest foe. So dodge the sun and instead check out the Magic Cave! 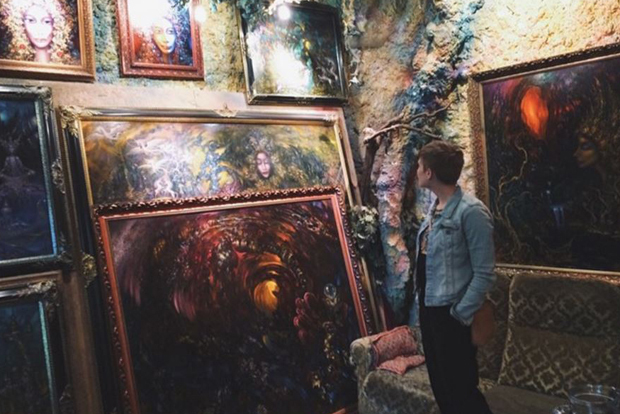 This is the endeavor of local artist Rheon Argondian, who was not content by simply displaying his work in a traditional gallery, so instead transformed his old mill home into a psychedelic empire of art. Stepping into this space is otherworldly to say the least. 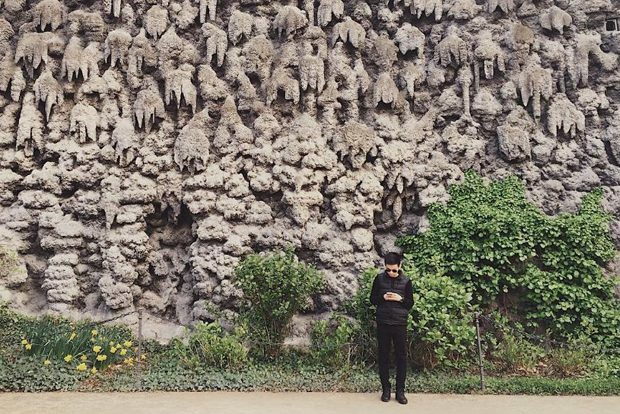 Irregular, rocky walls are adorned in Rheon’s trippy sculptures and paintings, a colourful explosion of strange creatures and curious delights. Be warned, however, in order to find this Magic Cave you will have to wander the forest and gardens of Petrin, the small hill just outside of the city. So ensure to follow directions. Being hungover and lost among the trees would not be a particularly appealing situation to be in. If you want to survive a hangover, filling your lungs with some healthy air is key. A wander up to Prague’s famous Castle is certainly worth the climb, however, if you’re looking for something a little more chilled given your current disposition, then head to the beautiful nearby Wallenstein Garden. What makes this place so great is that is a bit of a secret spot, with the majority of non-locals only coming across it by accident due to the fact it’s hidden by an enormous wall and is accessible only through three unassuming doors. The garden is sprawling, perfect for a leisurely stroll or to befriend the local peacocks. Or better still, have a quick power nap stretched out on the grass. If you are starting to lag, time to get that caffeine hit. “Můj šálek kávy” not only translates as “my cup of coffee” in Czech but also is the name of a top-notch Prague coffee shop favorite. Speciality coffee roasters Doubleshot own this cozy and colorful café, located in the city’s designated hipster neighborhood, Karlin. Yes, if you’re after a perfect flat white to help you through the rest of the day, this is the best place to sample such a treat. Plus you get the added bonus of unintentionally hanging out with all the cool kids. Heading to a spa is one way to rid you of a hangover. However Prague offers a unique twist on the average spa concept. 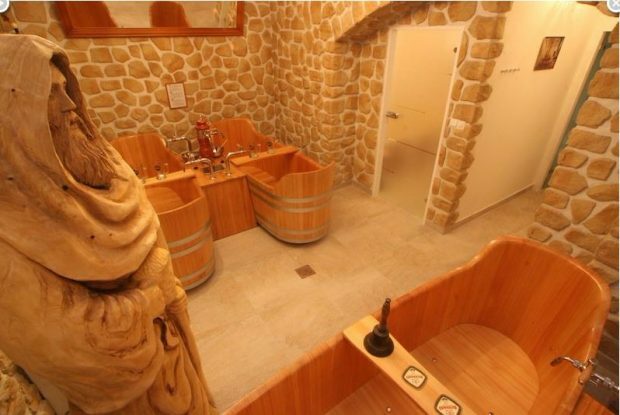 Beer Spa Bernard allows visitors to take a 30-minute dip in a bath filled with the all-natural ingredients used for beer brewing, including barley, hops and yeast. The bath is kept bubbling at a steady 98.6-degree heat to help ‘promote dissolution of ingredients’, releasing vitamins, carbohydrates and proteins to leave your skin silky smooth. Following your beer bath, you can then opt to continue the relaxation session on a heated bed or with a 20-minute massage. The added perk? Throughout the entire session, you can quench your thirst with unlimited refills of the home-brewed beer Bernard, which you will be happy to learn comes from a tub side tap and not recycled directly out of your bath! Walking can quickly become tiresome when you are hungover. But don’t miss out on city sights just because you don’t have any more energy left to put one foot in front of the other. Instead, jump aboard Prague Segway Tours! 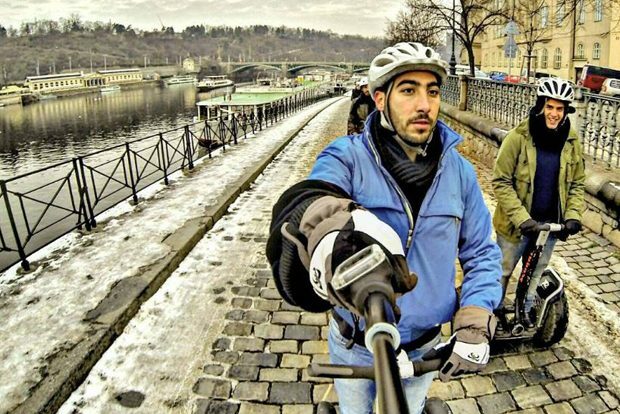 Offering a variety of different tours such as the Sunset Tour, Prague Castle Viewpoints or Kampa Segway Ride, you can whiz across the city’s cobbles on an utterly fun excursion, led by an intrepid guide. Never has a hungover person moved so fast or looked so sophisticated. It is the oldest cure in the book- if you want to overcome your hangover then embrace the very thing that bestowed it upon you- alcohol. 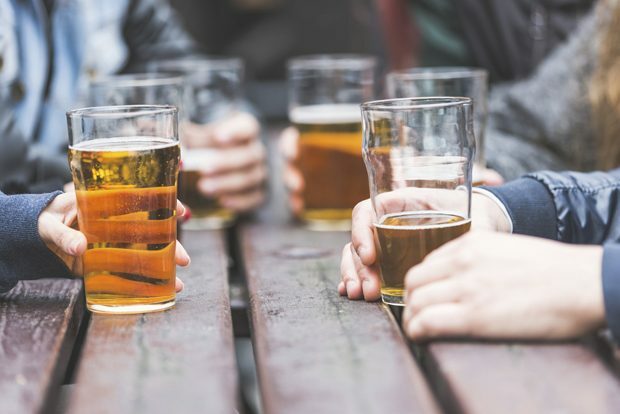 After all, Prague is one of the beer capitals of the world, would be a shame not to indulge in the overall experience and pay a visit to some of the city’s delightful local breweries. Snap up a ticket for Prague Beer Tours & Tasting and you get to check out not one but three! Under the guidance of a “Beer Master” you will discover the history and legends of the city’s historic New Town, brewing techniques and traditions as well as get the opportunity to taste to 11 varieties of Czech Beer. Ain’t nothing like the hair of the dog to help get back in the swing of your Prague adventure! Want to experience Prague on a hangover? Then start your journey by finding your flights and hotel with us. Find the cheapest flight and hotel deals in one place.